Hey, you're new here - welcome! Spending lots of time searching for IELTS info? Subscribe to IELTS-Blog and save 30 minutes a day by getting recent exam questions, practice tests and preparation tips delivered to your email, free. 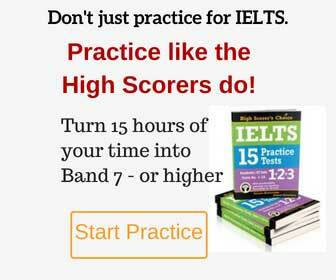 What do you do to get a higher score in the IELTS Reading test? Increase your speed by reading more texts, that’s right. But not just any texts – there is a certain kind of reading passages you will find in the IELTS test more often. 1. The Economist – a weekly newspaper focusing on international politics and business news and opinions. 3. New Scientist – a weekly science and technology news magazine, considered by some to be the world’s best, with diverse subject matter. 4. American Scientist – an illustrated bimonthly magazine of science and technology. 5. The Geographical Journal – publishers of original research and scholarship in physical and human geography. 7. Australian geographic – an entertaining and fact-filled reference for anyone who loves and is fascinated by Australia and all things Australian. 8. The British museum – online publications. 9. Illustrated London News – a pictorial example of a historic social record of British and world events up to the present day. In all of these websites there are articles you can read online (no need to subscribe, they are free) . This way you will get familiar with the style and level of articles you are likely to see in a real IELTS exam. Practice in reading using these resources and you will kill two birds with one stone, improve your reading speed and expand your vocabulary. Those of you taking the IELTS test to study in England will find this page interesting. And now it’s your turn – do you know of other free sources of IELTS-like reading passages? Please, share!